This 1960�s vintage insertion lace trim features detailed flower & scrolling pattern that resembles Point de Venise needle lace. The vintage insertion lace trim has a narrow band both the top & bottom edges. 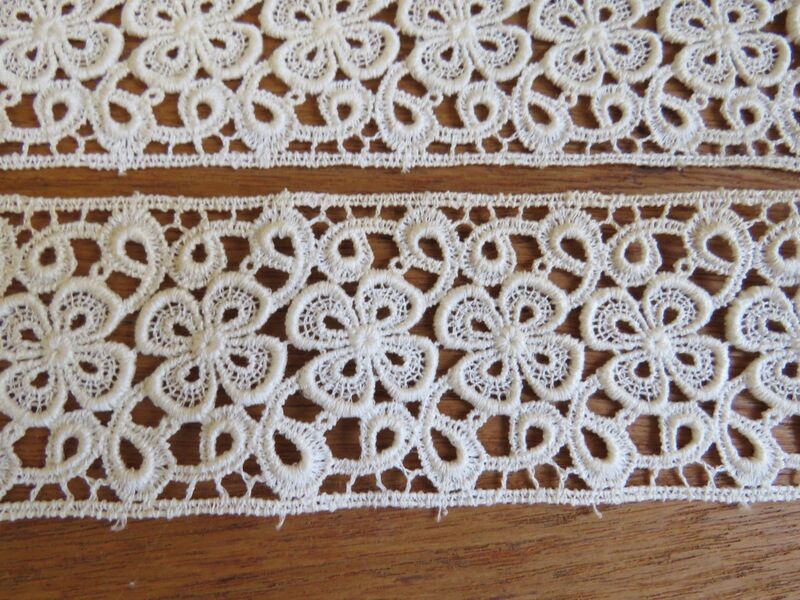 Vintage Lace Trim Condition: The vintage trim is in very good unused condition except for the age storage yellowing discoloration within the entire available lace lot. � As found condition�. The photo of the cardboard is just to show original state & information - D. Strauss Co. New York. No cardboard included with lace purchases.